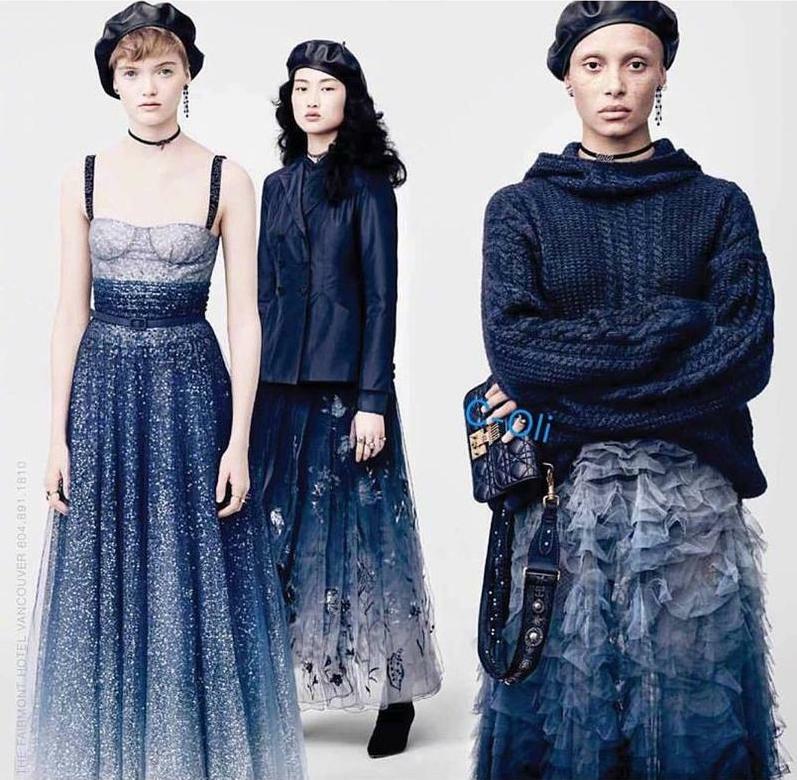 Fifty shades of blue are coming to me when I see in the fall-winter 2017-2018 campaign of Dior. 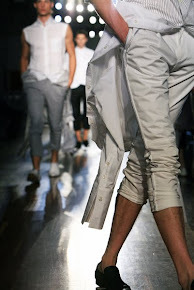 It is not a campaign of the elegant fashion house I expected but I am impressed and I like it! Looking closer at the images taken by french photographer Brigitte Lacombe you see the new elegance of Dior. Creative director Maria Grazia Chiuri puts again her unique stamp on this Dior woman collection for coming season. Karl Templer as fashion editor did the styling, Guido Palau was responsible for the hair styling and Diane Kendal for the make up. The line up of models are Ruth Bell, Grace Hartzel, Adwoa Aboah, Selena Forrest, Fernanda Ly, Ellen Rosa, Jing Wen, Aira Ferreira and Camille Hurel. 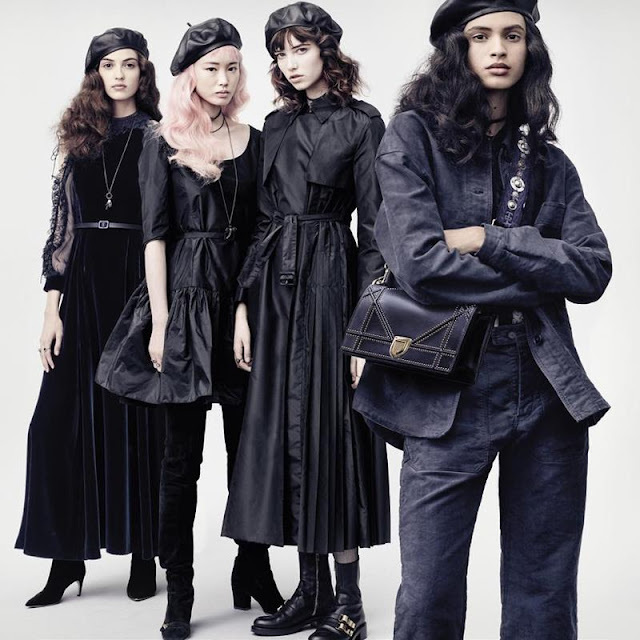 The styling by Karl Templer in this photo with the leather look berets and the chokers makes the elegant dress and skirts look more casual and daring. The comfortable knitted pullover worn by Adwoa Aboah completes the look. With Ruth Bell in the middle wearing a boyfriend jeans and high heals, it completes this look. Velvet, raincoats and jeans in one photo, Karl Templer really dares to combine the creations by Maria Grazia Chiuri and makes it look great. Don't forget to look at his choice of shoes! Three styles in one photo. This campaign of Dior is worth looking and studying at! More on Dior.